As Britain’s outspoken Ambassador to the Central Asian Republic of Uzbekistan, Craig Murray helped expose vicious human rights abuses by the formerly US-funded regime of Islam Karimov. 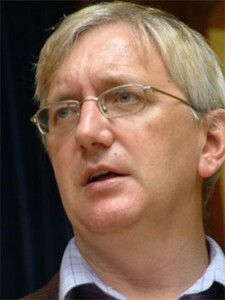 He is now a prominent critic of Western policy in the region. 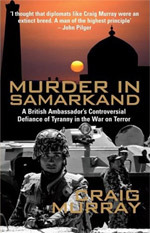 Now a writer and broadcaster, Craig’s best selling hardback edition of his book ‘Murder in Samarkand’ is being launched in paperback at Bookmarks, 1 Bloomsbury Street, London WC1B 3QE on Wednesday 7th March, 6.30pm. In this candid and at times shocking memoir, he lays bare the dark and dirty underside of the War on Terror. Harold Pinter comments: ‘A fearless book by a fearless man. Craig Murray tells the truth whether the “authorities” like it or not. I salute a man of integrity. The human rights record of the former Soviet Republic hit the headlines in 2003. Former UK Ambassador Craig Murray discusses the situation in Uzbekistan and the implications of Western government collusion with the current regime.